Well, that went into a downwards spiral. I hate to admit that I was wrong on that call, luckily I don't have too many shares invested in it, and who knows a miracle might happen. It's incredible that Blockbuster is in so much debt. 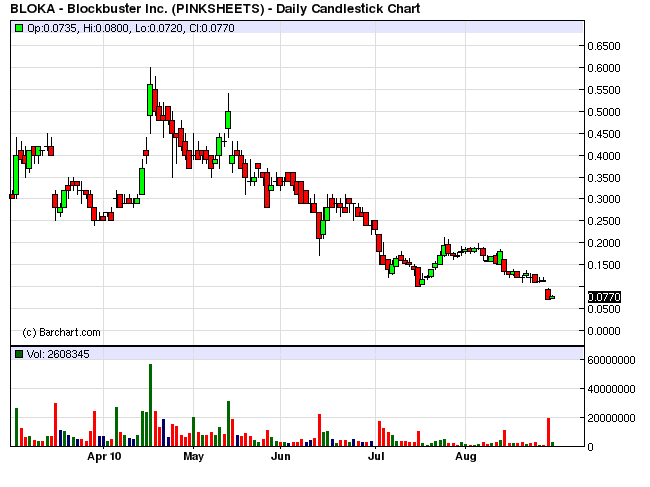 On July 21st I posted an article about Blockbuster (BLOK.A) that was then trading around $0.14 a share. 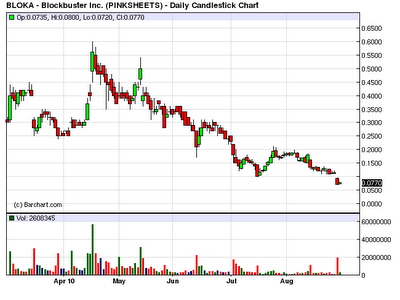 A bargain in my opinion at that time, and for awhile there it touched the $0.20 a share mark. After that it has been going down slowly but surely, with no end in sight other then bankruptcy? 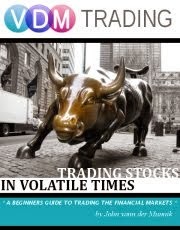 Now trading at $0.07 a share. Any hope left? If this company is going under, I think it's because of mis management, not debt believe it or not. The company's debt is a result of mis management. They adapted pretty much all the things Redbox and Netflix have, just a little too late. No advertising, so not many people know about it. Too bad, maybe it'll be the rise of the little independent video stores again... who knows.